Libra and Aquarius are air signs and they are indeed an airy, interesting and particularly harmonious combination. Libra and Aquarius have a high compatibility quotient, which means that together they can achieve great success and maintain a good relationship. These two are connected by a high mental level; share a love of art, people, culture; both despise restrictive effects. They will share a good chemistry, because they both have similar needs and will require more than the partner is ready to provide. 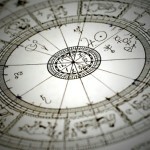 Both zodiac signs are very energetic and enthusiastic, so this relationship will not become stagnant. Aquarius is one of the most advanced thinkers of the zodiac signs and is always working on a new idea. Libra is the diplomat of the zodiac; despises conflict of any kind and cares deeply about balance, justice and equality. Libra sometimes can be very undecided, so when this occurs, the determined Aquarius makes the decision. Libra is ruled by Venus, while Aquarius is ruled by Uranus (rebellion) and Saturn (karma). This combination of influences can be interesting and productive. In addition to their romantic relationship, Libra and Aquarius should engage in other joint projects, because they can achieve a lot of great things by using their hearts, their need for progress and developed consciousness. They are an outstanding duo when it comes to the struggle for justice and radical changes in society. They both have unconventional views on love and marriage, and Libra may be a little restrained about marriage, but is very serious about commitment. One the other hand, many Aquarius-born love the concept of free love and don’t like marital obligations. However, Libra and Aquarius is one of the best matches of zodiac signs and their relationship could last for a very long time. As Libra and Aquarius are both air signs, both zodiac signs have a strong intellectual connection and they will encourage each other daily and value all new ideas. Their ability to work together makes it obvious that they need to work on large projects in life. Aquarius and Libra will have many stimulating intellectual conversations about their common interests. Libra is a cardinal sign, while Aquarius is a fixed sign. Libra can start many things, but has problems to complete them, but the determination of the Aquarius has a positive influence. What’s the best aspect of the Libra – Aquarius relationship? Their unique ability to function as a team, while learning much more than any other sign individually.